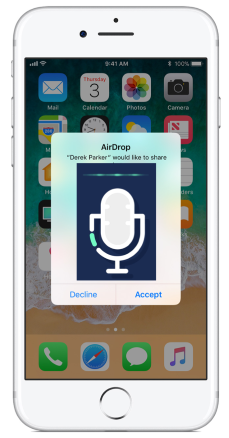 One of the easiest ways to post to social media (including Instagram) is to get your Wavve video from your Mac Desktop or Laptop to your iPhone using Airdrop. From the My Videos page, download the video you want to share to Instagram from your Mac. Play the video file using Quicktime. 5. Post to your favorite social media account. If you need additional assistance, create a support case and we will be in touch!